The conception of literary revolution in Ge’ez language begins with the formation of vowels to its letters. For most centuries BC, the language operated in its written form without vowels. This is evident in the inscriptions of Belew Kelew written without vowels “ዘሐወለተ/ ዘአገበረ/ አገዘ/ ለአበወሀ/ መሐዘተ/ አወጸ/ አለፈነ… However, with the advent of Christianity in around 3rd century AD in Eritrea, the need for a written form of the language for preaching purposes had escalated. 12th century B.C was the time when the land of Agaazit, today’s Eritrea, defied the influences of Arab and Greek civilizations and emerged with its own forms of cultural and traditional civilizations. The most demonstrative fact is the emergence of new forms of Ge’ez that developed its own vowels, contributing to the development of the written form. The credit for the formation of Geez vowels solely goes to Aba Selama (the first Christian missionary to the land) and his disciples. Aba Selama and his followers intentionally invented Geez vowels and adopted a new numeric system (this is explained in detail in the Geez Sinksar). Back around 1,000 BC, Sabeans from southern Arabia began settling in the northern coasts of the sea and integrating with the inhabitants, forming the commercial city and kingdom of Adulis. Simultaneously a new culture and language had to be formed. At its rudimentary level, Ge’ez was written in boustrophedon ox-turning plough form. With time, it began to be written like the Aramaic and Arabic from, right to left, until it adopted the present position of writing from left to right side. The translations are highly dependent on the cultural and commercial aspects of the Mdre Bahri (meaning: Land of Seas, a name given to present day Eritrea following Mdre Agaazit). In the first 6 centuries AD, Eritrea was in flagrant commercial transactions with Greek, Egypt and Syria, which had skyrocketed with the advent of Christianity. Therefore, it was only natural that religious connections with these lands also flourish. Missionaries from these commercial neighbors took priorities in translating their mother tongue contents into Ge’ez. With the rise of Adulis, Qohaito and Axumite kingdoms, the language had played a vital role in fueling the civilization. Back in those times, Ge’ez was omnipresent in the heart of every commercial transaction with the Greek and the Arab world. By 5th century BC, the written form of Ge’ez had evolved. However, it was not the time, when the language was celebrated by the color of its literature had. 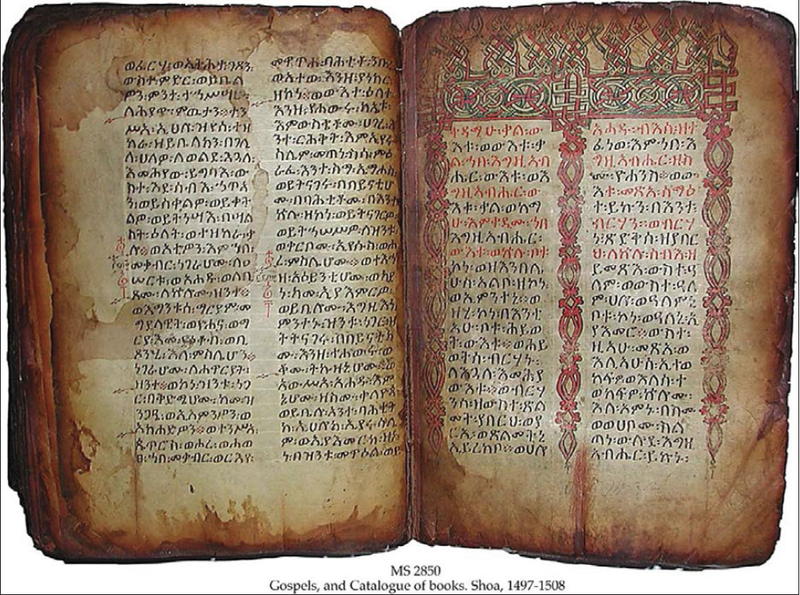 The advent of Christianity and the rise of the Axumite kingdom became leading reasons for Ge’ez language to be so great in its literature. This is the reason why most of writings of the language are found to be religious. However, there are also writings of philosophy, history, law and some other books translated from the Greek language. At this time, the language had been in an active interaction with Greek and Aramaic languages as trading interactions through the Red Sea were flourishing. Seeing the Ge’ez numbers were adopted from Greek letters, tells how Greek language was so familiar in the land (inscriptions of Adulis, Dembezan,Metera, Aham etc). With translation, the literature of the language begun to bloom and the early translations were from Greek and Aramaic (sorya) languages. 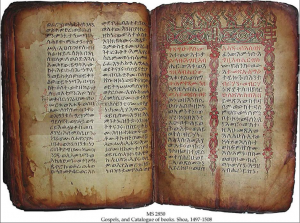 Apocrypha (ቅዱሳት መጻሓፍቲ), Doctrines of monasteries (ስርዓተ ገዳምን ሕጊ ምንኩስናን), Liturgy (ጸሎተ ቕዳሴ), Litanies (ዜማ), Religious fictions (ሃይማኖታዊ ልብወለድ) were some of the early scripts translated into Geez until the 6th century AD. Bespeaking to the interaction of Ge’ez and Greek languages, Ge’ez vocabulary comprises several words that resemble Greek lexis. However with shifts in trading lines to Egypt and emergence of new migrants in the land added to the new cultural and commercial links with ancient Egypt, and hence translations got its source from Arabic Egyptian literature and hagiographies. This flow of translation took place until 12th century. Some of the translations include The Ordeal of Apostles (ገድለ ሃዋርያ) hagiographies (ገድላተ ቅዱሳን) The Eulogy of St Mary (ውዳሴ ማርያም) etc. As The Bejans from the Nile valley pushed southwards to Eritrea and as the Habeshas began to drift northwards to Axum, new language variations came about in the mix, giving rise to Tigrinya and Tigre. In later times, however the literary aspect of Ge’ez began to be independent and translating had to fall quantitatively. 12th century AD was the medieval stage of the literary voyage the language took. Until 16th century, not only new hagiographies and religious writings were produced but also those translated earlier from Greek manuscripts were also retranslated from the Arabic Alexandrian writings. The Sinksar that contains hagiographies of various saints translated earlier from Arab has included the story of some new saints who had come to the land or country men who had been canonized. For such an addition, the church had to figure out a way of producing new writers who could accomplish such a job. The translations that took place at this ardent stage were also a bit scientific and somewhat different from religious canon of writings. Some writings that are not permitted in the church were also translated at this stage, for instance a number of Astronomical, Mathematical and Philosophic books joined the literary revolution. Moreover, the translation went far to the extent of adopting orthodox scripts of chants. Some of the translated and written scripts can be mentioned. Back at the Coptic Church this stage was the time when the language of Copt, referred to us as Qipt (ቅብጥ) in Ge’ez manuscripts, was being replaced by Arabic language. Simultaneously the literary aspect of Geez at this point was at its peak, with continuous translations from Coptic manuscripts to the Arabic language. There were also Coptic manuscripts not translated to Arabic language but later translated to Aramaic language. The Agaazian Church with its deep relations with Syrian Church therefore could translate some of these manuscripts into the Ge’ez language. It is of great concern then to look into facts that still preserve the literary truth about Ge’ez. The primary sources are the number of monasteries that lived about 10- 12 centuries. As it is stated in the hagiography of Ewostatowos the whole number of monasteries in the Abyssinian church were divided in to two in the 14th century AD. The Seraye (the northern part of Abyssinia: Eritrea) therefore are Known as Bete Ewostatewos. Though the development of Monasteries in the land took before 14th century, most of the Geez manuscripts live in these monasteries are around this century. Referring to the Senksar or the personal book of Saint Anthony however, it is evident that the concept of monastery in Midre Agaazit had begun in 4th century with the advent of Christianity. The earliest monasteries in the land are said to be the monastery of Sinai and the monastery of Ham. With the continuous attacks in the ensuing centuries however, those destroyed monasteries only resurge at around 8th century Ad. At present those renowned monasteries with old manuscripts are; Sinai monastery, Bizen monastery, Ham monastery, saint Absadi monastery, saint Merkorowos Monastery, Saint Abraniyos monastery etc. 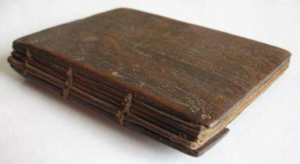 The secret for the longevity of these books lies in the traditional process they pass in their Making. During British colonization, a number of Ge’ez parchments were taken to England to be found now in the British museum. Making parchment was one of the prior responsibilities of a monastery, as it had been given a considerable division of labor. It is evident that the primary concern of the makers was to prepare a book that would reach generations. Therefore, using the skin was the right choice. This is again an art adapted from Coptic civilization; the different signs and designs that are used to ornate the hard cover and the page edges have the influence of Coptic designs. 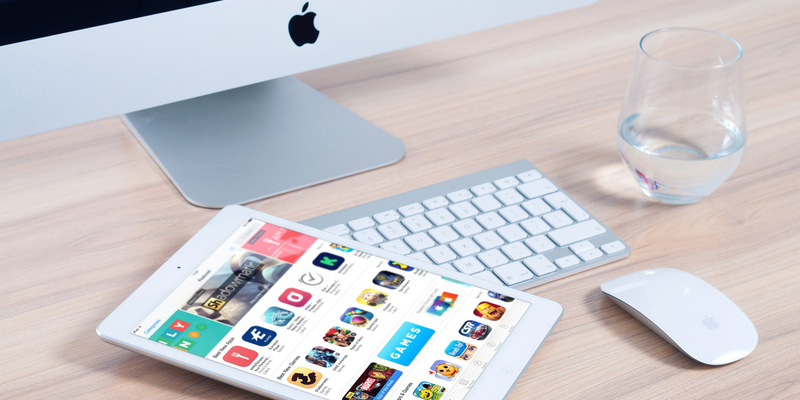 Nevertheless the art of writing and letter designs are of course Agaazian arts, as some of the fonts in Geez software are adopted from Geez parchments. Therefore these manuscripts can be classified as the one of the ancient hagiographies and parchment manuscripts of Africa. Most of the Geez writings are Christian; however, they are as pregnant and significant as the most popular scripts of Homer and Shakespeare. It is remarkable to see the fundamental literary devices are effectively used in the realms of the language. Above all, Ge’ez writings are so graphic and picturesque that comprises the basic genres with their vital literary techniques. The metaphors, similes, conceits and the art of writing with in this language, when examined with a literary perspective they are champions. Nationally speaking, the language comprises wide range of historical and philosophical writings that reflect the nation’s identity. As to how the language faded away, it was so immediate and sudden. 15 century was the time when Islamic rule expanded and when civilian political leadership replaced religious bureaucracy. As such, it was the time when modern bureaucracy replaced the Christian leadership that was the means in the ancient Midri Agaazit. Simultaneously the language began to loose its credibility. Ultimately, As Christianity confined to a limited power of leadership; the language became restricted as the religious tongue of orthodox. The best part of the language’s enigma is revealed as we look deep into its literature. The writings with in this language, when criticized to the fullest extent, are the most eloquent and elegant form of literature. Now in the living daughter languages of Ge’ez the literary influence is traceable. Particularly in Tigrigna the traditional literature had been for long time functioned as oral literature. Making a deeper examination at the traditional Tigrigna poetry called Maase to find such extra ordinary flow and imagery is a trait of the rich literary content of the mother Geez language. Therefore it seems a wise step to get back and look for a literary heritage in this ancient language to insure a rich modern literature.